David Bradley, Ross Professor of Tropical Hygiene Emeritus at the London School of Hygiene and Tropical Medicine (LSHTM), is a physician, communicable disease epidemiologist and zoologist. After studies at Cambridge and London he lived and worked in East Africa - Tanzania and Uganda - for ten years and has continued to carry out research there, also in India, Bangladesh, Philippines, Sierra Leone, Kenya, and the UK as well as making shorter working visits to many other countries. After initial work on community pathogenesis, epidemiology and the public health importance of schistosomiasis he worked on domestic water supply and health in East Africa, on Mycobacterium ulcerans, and the theoretical basis of tropical public health. He devised the now generally adopted functional classification of water-related diseases. He returned to the UK to analyse the genetic control of resistance to leishmaniasis at Oxford where he discovered the Lsh gene, and developed an epidemiological model of schistosomiasis haematobium. From 1974 he was Professor of Tropical Hygiene at the LSHTM for 30 years and Director of The Ross Institute, which became a highly interdisciplinary department, extending from molecular biology to social anthropology, applied to problems of tropical health. It particularly developed thinking on water and sanitation, and on malaria control He became increasingly involved in malaria epidemiology as co-director of the UK Malaria Reference Laboratory and head of a DFID research group on applied aspects of tropical diseases, especially malaria. Its work focused on comprehensive analyses of complex malaria problems requiring multidisciplinary studies, and following through from efficacy trials to sustainable implementation. Urban malaria in Asia, insecticide-treated mosquito net programmes in East Africa, and the prediction and management of malaria epidemics due to global and local environmental changes have been studied. He has advised the World Health Organization, DFID, the World Bank, and ICDDR,B on public health and research policy. He was President of the Royal Society of Tropical Medicine and Hygiene, has an Honorary DSc from the University of Leicester and was recently made an Honorary Fellow of the LSHTM. 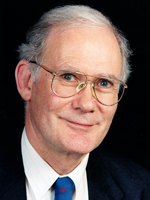 He has received the Chalmers and Macdonald medals of the Royal Society of Tropical Medicine and Hygiene and the Harben Gold Medal of the Royal Institute of Public Health. Since his 'retirement' he has worked with Ugandan colleagues on the disease problems of settling nomadic pastoralists and the resulting environmental, water and health changes and he has returned to his fascination with the role of water bodies in disease and with landscape epidemiology, as well as working on the historical epidemiology of India, on revising the classification of water-related diseases, on the conceptualization of transdisciplinary public health issues and on imported malaria. Environmental change and settlement epidemiology of pastoralists in SW Uganda. Professor Bradley delivers the 'Health and Water' module, practicals on 'Ecological, microbiological and epidemiology' and supervises projects for the MSc in Water Science, Policy and Management. He also teaches on the MSc in Public Health in Developing Countries at LSHTM, where he teaches on 'Malaria Epidemiology' and 'Ecohealth'. He also delivers undergraduate lectures on 'Disease control in malaria'. He has recently supervised doctoral research on 'Malaria spatial epidemiology in Colombia', 'Determinants of malaria in SW Uganda' and 'Environmental change and nomadic settlement'. Shanks, G.D., Hay, S.I. and D.J. Bradley. (2008) Malaria's indirect contribution to all-cause mortality in the Andaman Islands during the colonial era. Lancet Infectious Diseases, 8(9): 564-570. Smith, A.D., Bradley, D.J., Smith, V., Blaze, M., Behrens, R.H., Chiodini, P.L. and Whitty, C.J.M. (2008) Imported malaria and high risk groups: an observational study using UK surveillance data, 1987-2006. BMJ, 337: 103-106. Osorio, L., Todd, J., Pearce, R. and Bradley, D.J. (2007) The role of imported cases in the epidemiology of urban Plasmodium falciparum malaria in Quibdo, Colombia. Tropical Medicine and International Health, 12(3): 331-341. Bradley, D.J. (2006) Landscape epidemiology and migration: insights and problems at several scales for transmissible diseases. In, Sleigh, A., Chee, H.L., Yeoh, B.S.A., Phua, K.H. and R. Safman (eds.) Population Dynamics and Infectious Diseases in Asia. World Scientific: Singapore, pp. 39-55. Hadorn, G.H., Bradley, D., Pohl, C., Rist, S. and Wiesmann, U. (2006) Implications of transdisciplinarity for sustainability research. Ecological Economics, 60(1): 119-128. Patz, J.A., Daszak, P., Tabor, G.M., Aguirre, A.A., Pearl, M., Epstein, J., Wolfe, N.D., Kilpatrick, A.M., Foufopoulos, J., Molyneux, D. and Bradley, D.J. (2004) Working Group on Land Use Change and Disease Emergence. Unhealthy landscapes: policy recommendations on land use change and infectious disease emergence. Environmental Health Perspectives, 112(10): 1092-1098. Hanson, K., Goodman, C., Lines, J.D., Meek, S., Bradley, D. and Mills, A. (2004) The economics of malaria control interventions. Geneva. Global Forum for Health Research, World Health Organization. Bradley, D.J. and Bannister, B. (2003) Health Protection Agency Advisory Committee on Malaria Prevention for UK Travellers. Guidelines for malaria prevention in travellers from the United Kingdom for 2003. Communicable Disease and Public Health, 6(3): 180-99. Coluzzi, M. and Bradley, D. (eds.) (1999) The Malaria Challenge after one hundred years of malariology. Papers from the Malariology Centenary Conference, Accademia Nazionale dei Lincei, Roma, 16-19 November 1998. Parassitologia, 41(1-3). Bradley, D.J. (1998) The particular and the general. Issues of specificity and verticality in the history of malaria control. Parassitologia, 40: 5-10. Bradley, D.J., Newbold, C.I., Warrell, D.A. (1996) Malaria. In, Weatherall, D.J., Ledingham, J.G.G. and D.A. Warrell (eds.) Oxford Textbook of Medicine, vol. 1. Oxford: Oxford University Press, pp. 835-863. Bradley, D.J. (1994) Health, environment and tropical development. In, Cartledge, B. (ed.) Health and the Environment: the Linacre Lectures, 1992-93. Oxford: Oxford University Press, pp. 126-149. Stephens, C., Harpham, T., Bradley, D.J. and Cairncross, S. (1990) Health impact of environmental problems in urban areas of developing countries. Geneva. World Health Organization. Weil, D.E., Alicbusan, A.P., Wilson, J.F., Reich, M.R. and Bradley, D.J. (1990) The impact of development policies on health. Geneva: World Health Organization. Bradley, D.J. (1988) The epidemiology of ricefield-associated diseases. In, Vector-borne Disease Control in Humans through Rice Agroecosystem Management. International Rice Research Institute, Los Baños, pp. 29-39. Feachem, R.G., Bradley, D.J., Garelick, H. and Mara, D.D. (1983) Sanitation and Disease: Health aspects of excreta and waste water management. Chichester: Wiley, 501 pp. Bradley, D.J. (1981) Seasonal variables in infective disease: a summary. In, Chambers, R., Longhurst, R. and A. Pacey (eds.) Seasonal Dimensions to Rural Poverty. London: Francis Pinter, pp. 127-131. Bradley, D.J. (1981) Seasonality in rural experience. In, Chambers, R., Longhurst, R. and A. Pacey (eds.) Seasonal Dimensions to Rural Poverty. London: Francis Pinter, pp. 218-224. Bradley, D.J. and May, R.M. (1978) Consequences of helminth aggregation for the dynamics of schistosomiasis. Transactions of the Royal Society of Tropical Medicine and Hygiene, 72: 262-273. White, G.F., Bradley, D.J. and White, A.U. (1972) Drawers of Water: Domestic water use in East Africa. Chicago: Chicago University Press. 306 pp.